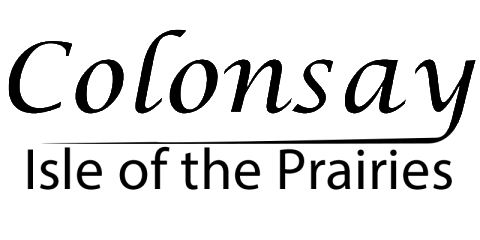 Professional Responder course (First Responder) May 4, 5, 10,11, 12th In Viscount. There will be a Standard first Aid and CPR/ AED re-certification on April 25th at 10am. notice that no voting for this office will take place on Wednesday June 27, 2018 . Garbage tags will be $2.50 a tag and½ tags will no longer be accepted at transfer stations or landfills. A full tag must be on each 77 L bag or can (this also applies to curbside pickup). 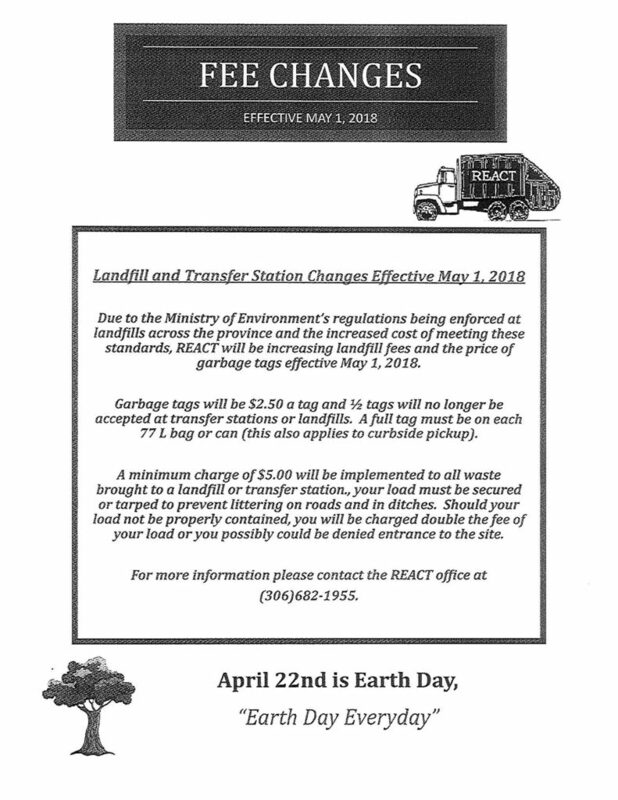 A minimum charge of $5.00 will be implemented to all waste brought to a landfill or transfer station and your load must be secured or tarped to prevent littering on roads and in ditches. 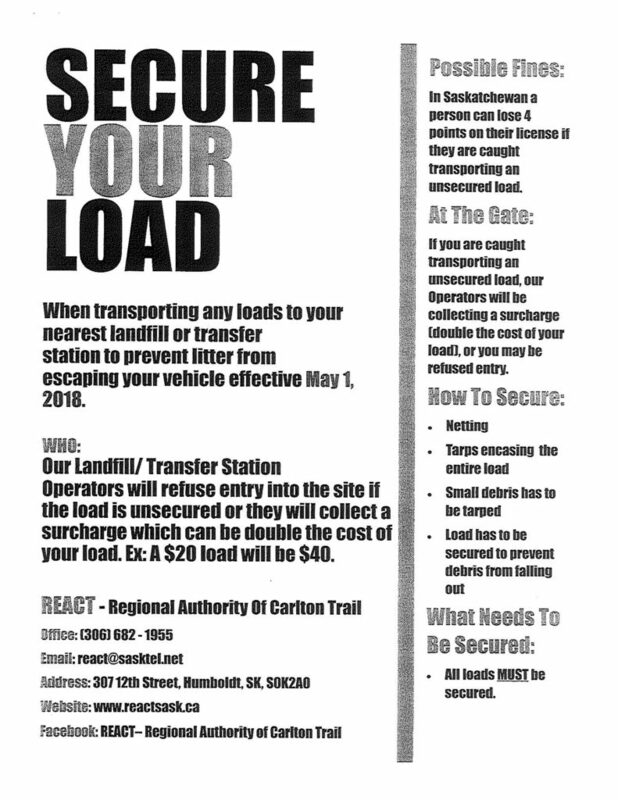 Should your load not be properly contained, you will be charged double the fee of your load or you possibly could be denied entrance to the site. For more information please contact the REACT office at (306)682-1955.